Skin diseases are one of the most common reasons to see your doctor. Yet, they are often stubborn conditions which do not respond to medications. Or even worse the medications have side effects. Acupuncture and Chinese medicine offers a natural and effective treatment for many skin conditions, such as acne, eczema, psoriasis, perioral dermatitis, and others. The heat and humidity this year is strong. 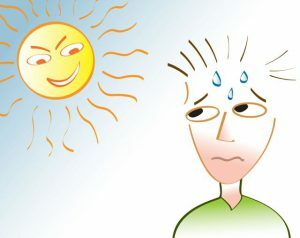 Not only is it uncomfortable, many find that their headaches are increased during the hot and humid summer. I previously wrote a post explaining how acupuncture understands the connection between hot weather and headaches. Acupuncture is not just acupuncture. In fact, the word for acupuncture in Chinese, Zhen Jiu, actually translates to “acupuncture and moxibustion” which shows how central moxibustion is within acupuncture. 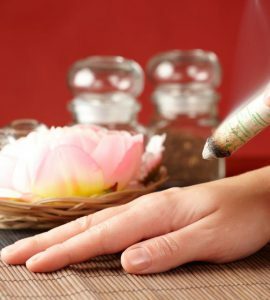 Moxibustion is the warming of acupuncture points or needles. Most often, this is done through burning an herb called mugwort. It can also be done with heat lamps as well as herbal lotions. In my office, we use smokeless moxibustion because it is treated and does not create much smoke. Winter is here. It comes as no surprise that the cold and damp weather means achy and painful joints and an exacerbation of arthritis. Acupuncture and Chinese medicine have understood this seasonal phenomena for thousands of years. According to acupuncture, cold and damp can become stuck in the joints disrupting the normal function and circulation which leads to pain. Acupuncture and Chinese medicine work to warm the body and increase circulation leading to a decrease in pain. Warming the acupuncture points and acupuncture channels helps to dislodge the cold. How can acupuncture warm the joints? It takes many years for an acupuncturist to develop skills in taking the pulse. A properly trained and skilled acupuncturist can find out a lot from your pulse. The pulse is a significant aspect the Chinese medicine diagnosis process. The pulse reflects the imbalances in the body and the strength of the body’s energy. This helps to determine the root cause of your health concern. What does an acupuncturist look for in the pulse? It is officially hot here in New York City. Chinese medicine has many remedies to cool down and reduce the risk of heat conditions in the summer. One of my favorite secrets is a cooling herbal tea made of chrysanthemum flowers and gou ji berries. 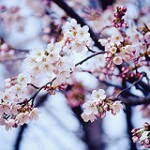 These days I am getting a lot of people inquiring about acupuncture treatment for April Allergies. Just look around, the trees are in bloom and April allergies are in full swing. Where do you do the acupuncture?